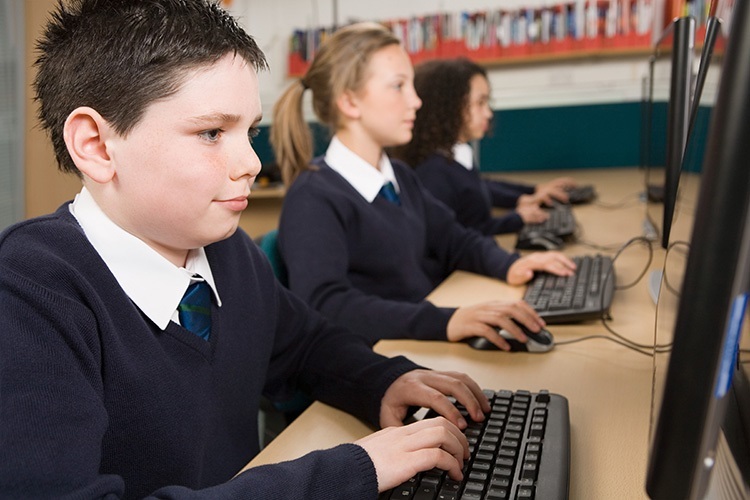 Computing is one of those subjects where pupils’ prior experience with technology varies so dramatically that generally, there will be a wide variety of skills and abilities in the classroom. In the primary classroom, teachers often report that their pupils struggle with the basic functions and lack familiarity using a PC, since tablets and mobile phones are fast becoming the devices of choice. Whilst you may have one pupil who is great at programming, it is not uncommon for this same pupil to also be one who surprisingly struggles with more basic tasks, such as to locate their files on the network. So when you are teaching classes where each child’s exposure and experience of technology is so diverse, what is the best way to overcome these difficulties? Firstly, it is important to recognise that people working in technology industries rarely work alone, so why should your pupils? Whilst the stereotype often favours an image of a lone ‘geek’ at a computer, this is rarely the case in reality. Living in a connected world, even those who work from home have access to colleagues or other experts around the world using tools including online forums, video calling or email, so why not attempt to replicate this in your classroom? For other employees in the technology industry, it is not uncommon for them to work in teams, supporting each other on various aspects of their projects. This concept is one that is important to communicate to your classes. A supportive environment will enable your pupils to learn effectively and should provide everyone with the opportunity to succeed and make progress. Ensure that resources are available to promote independence that both stretch and challenge the pupils in your class but also provide help and reassurance where needed. Help guides and displays can ensure that the classroom environment is effective for all learners. Perhaps the introduction of paired programming or paired tasks can help to create that supportive setting so that your pupils are used to discussing and articulating their work and understanding with their peers. Allowing a sense of independence and freedom where your class are encouraged to consult other pupils in the class will have the effect of embedding understanding for those who are able to explain to and help others. For those who are seeking out support, there is a sense of reassurance that asking for help is okay. Additionally, it is likely that any fear associated with asking for help and being ‘wrong’ is drastically reduced. Train digital leaders in various aspects of computing so that they are in a position to provide expert help and support where needed. Perhaps by maintaining their own blog, they could answer questions on a forum or via email, upload help videos and run sessions on specific topics during a lunch time or after school session. Apps such as Explain Everything would easily allow digital leaders to create help videos, which would simultaneously reinforce their own understanding of a topic. These could then be uploaded to a blog or your school VLE. One area pupils often seem to struggle with is articulating the problems they are encountering. More often than not, we hear the vague complaint, “it’s not working!” rather than finding that pupils have broken down the problem to work out exactly what the problem is. Here, key computing concepts such as decomposition and debugging are key to creating successful learners and so it is essential that your planning incorporates opportunities to develop these skills. By integrating concepts of computational thinking across all areas of the curriculum, pupils can be better prepared to solve problems and to learn effectively. If they are familiar with abstraction, decomposition and debugging, they are more likely to be able to transfer these skills to all aspects of their learning, which will effectively prepare them to become effective coders as well as benefiting them in other areas of the computing curriculum. Helping pupils to frame their questions when they encounter difficulties should encourage thinking at a deeper level about exactly what the problem is. It is important that when they do choose to seek out support, they are able to ask for specific help. They need to have already considered specifically what the problem is and to have attempted several solutions so that if they are still seeking out help, it has been narrowed down specifically. Rather than “my game isn’t working” they need to specifically identify which aspects are not working. For example, “my sprite doesn’t move when I press the arrow keys” is a more precise problem. Hopefully when they ask for help with this particular issue, they have by this point read through the code and ruled out potential problems so that what is left is much easier and faster to solve. By encouraging this type of working, you will generally find that pupils will solve many of their issues independently or with the support of others in your class, enabling you to focus on those who most need your guidance and allowing you to stretch those pupils who need to be further challenged. Many of these suggestions are simple and easy changes to implement. Consider adapting your classroom environment and the way you teach to promote similar collaborative values to those used in real tech industries to help effectively prepare your pupils for work in the real world. Siobhán Morgan is a Year 6 teacher at a Somerset middle school, where she is head of computing. She also leads computing across the West Somerset Academies Trust, from Foundation Stage to Key Stage 3.